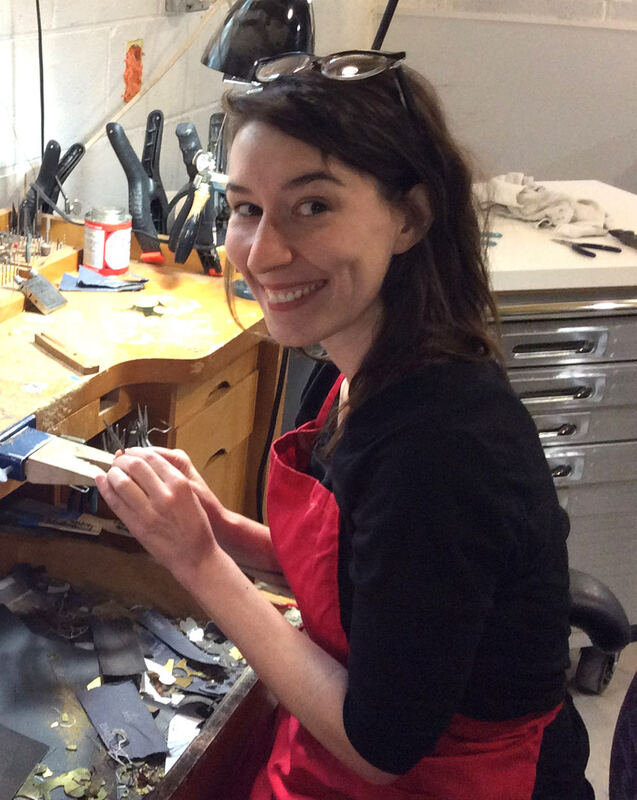 Laura Wood is a full time jewelry artist living in Asheville, North Carolina. Her newly relocated studio is in the Refinery Creator Space in the downtown South Slope District. Her work has been selected for many exhibitions throughout the United States, including The Contemporary Jewelry Show at the Penland Gallery (NC), Shift: Makers that Define, Expand, and Contradict the Field of Art Jewelry at the Grunwald Gallery (IN), and the Lydon Emerging Artist Exhibition (LEAP) at the Society for Contemporary Craft (PA) and most recently as a 2015 SNAG Emerging Jewelry Artist at the annual Sculpture, Objects, Functional Art and Design Expo (SOFA) in Chicago, Illinois. Her work can be found in select galleries in the United States and in the permanent collections of the Gregg Museum of Art at North Carolina State University and The Racine ArtMuseum in Racine, Wisconsin. Publications include, 500 Paper Objects (Lark Crafts, 2013), Behind the Brooch(Shiffer Publishing, 2014), American Craft (2012), and Metalsmith (2014). Laura was the founding voice of the annual ECU Symposium and is a co-founder of Jewelry Edition, a creative projectfacilitating the growth of jewelry artists. Laura was a recent 2015 speaker at the annual Yuma Arts Symposium and a the spring metals concentration instructor at the Penland School of Crafts. She earned a BFA from the University of Georgia and a MFA in metal design from East Carolina University. "I choose jewelry to express my creative interests, and for many years, this has been a fascination with the body. I began my career in the arts studying dance. This led me to making adornment for the body, activating pleasure and enjoyment through wearing. Each piece is very much an effort in creating body-conscious work. Material exploration and the lineage of jewelry history also inspire me to challenge myself in the work while evolving alongside a world with new technology and processes. I strive to enhance the silhouette of the body and create work to be worn as a celebration of performance and adornment."